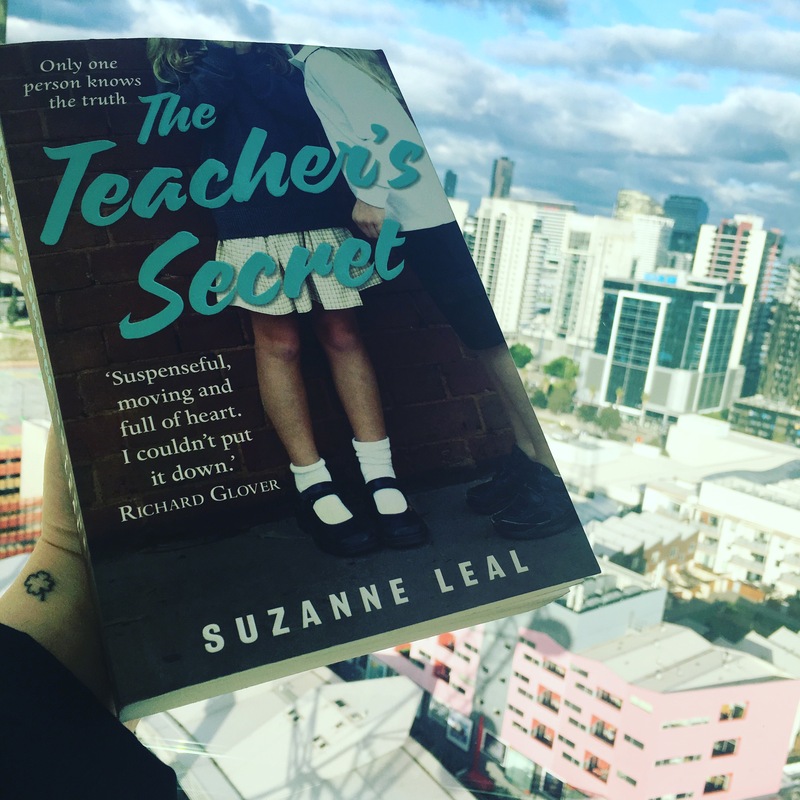 I stumbled across the book ‘The Teacher’s Secret’ by Suzanne Leal while browsing the book section in Big W a few weeks ago. The title sparked my interest straight away being a Teacher myself as I asked myself “what secret could this Teacher possibly have? 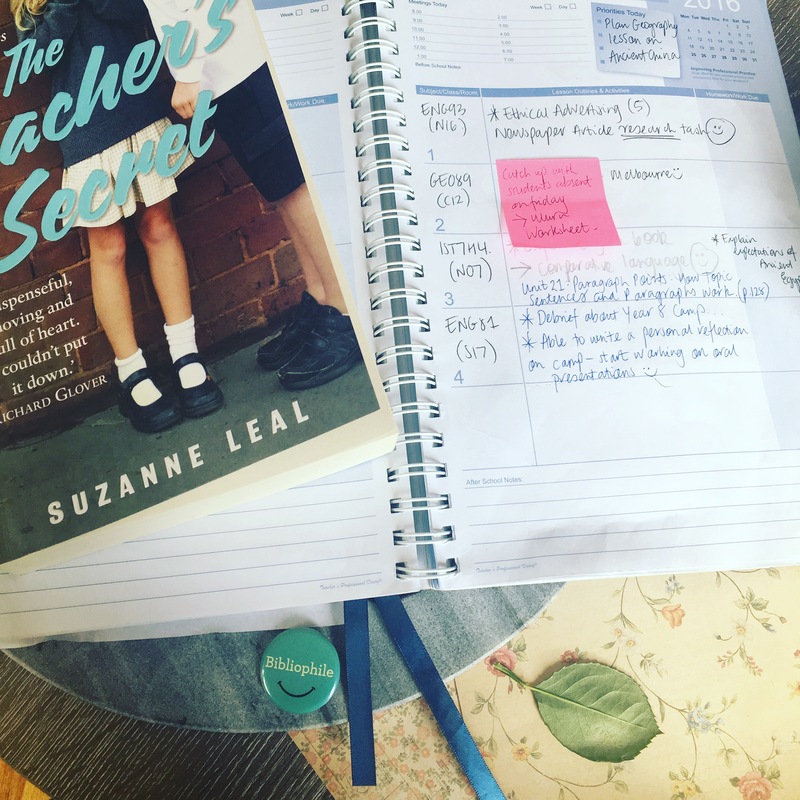 !”The biggest secret I have in my job besides occasional late minute lesson planning (it’s all in the delivery) and cheeky spelling errors (You noticed I wrote Desserts instead of Deserts?! Have this lollipop that I conveniently have for grammatical mishaps!) is purchasing freddo frogs for “the kids.” In my weekly grocery shopping the 12 top deck pack makes their way into the trolley and my boyfriend just gives me the all knowing look l, but never says anything. We both accept that I devour them all at my desk. Alas, even the kids busted me when I asked two students to go to my desk and bring back their poster projects. When they returned and I asked “did you find them okay,” one replied with “yes Miss they were under the half eaten packet of caramello koalas…” Surely Suzanne Leal’s story would have to be much more juicy than one woman keeping Cadbury in business…. ‘The Teacher’s Secret’ written by Suzanne Leal explores the multiple viewpoints of teachers, students and wider community of Brindle Public Primary School. With the arrival of a new principal Laurie Matthews, the natural rhythm of the school is chaotically disturbed along with the social politics turned upside down. Terry Pritchard is the experienced and relatable teacher of the grade 6s at Brindle who is the primary connection to the other characters in the novel. In a loving relationship with his wife Michele, Leal depicts a man who after all the years still loves his job. Terry demeanour with the students falls under the suspicious eyes of Laurie, as his behaviour towards the students is quickly misconstrued and leads to intense speculation. Suzanne Leal layers her story with the different thoughts and experiences of parents, teachers and members of the community. She adds dimension to her writing by showing one event through the eyes of multiple characters. It was amazing to read how one scenario can be analysed so differently depending on the character’s life experiences and personality. The multiple narrative point of views was an absolute jackpot winner for me. I am a huge fan of Jodi Picoult’s novels who nails this type of writing. (My Sister’s Keeper front the perspective of the character Jesse is one of the best I have ever read) I must say dear reader, Leal had me hooked and played with my emotions on how to perceive her characters. 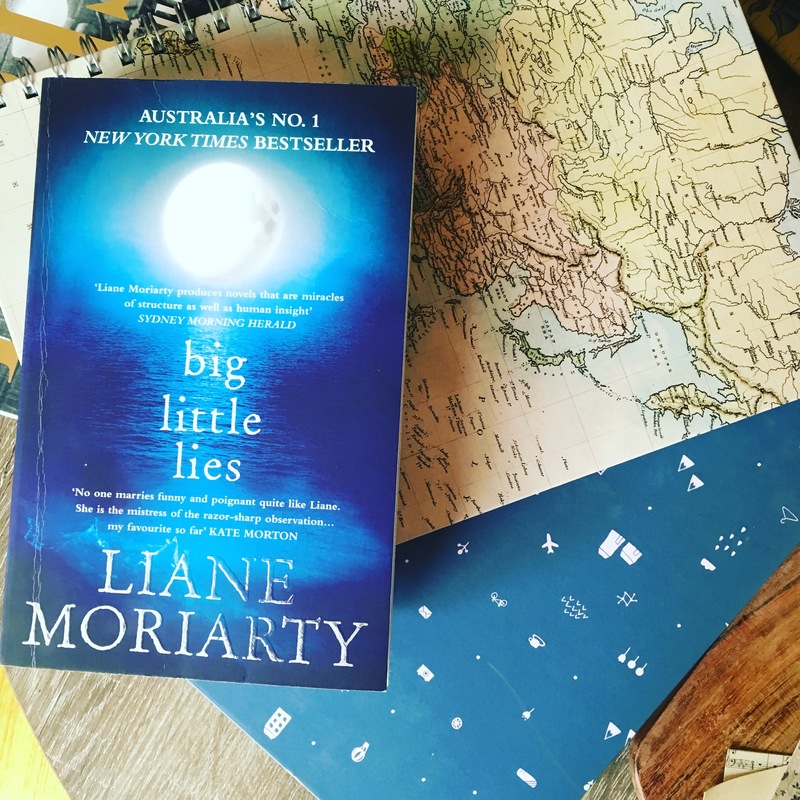 It seems school yard reads have been trending for me in 2016… This year one of my most exciting reads Liane Moriarty’s ‘Big Little Lies’ is also set in the confinement of a Primary School (which very excitedly is coming out as a HBO series soon!) Moriarty tells the story from the perspectives of Mothers Madeline, Celeste and Jane, whose new arrival (similar plot development to ‘The Teacher’s Secret’) causes conflict amongst the children and their parents. Jane’s son Ziggy is accused of bullying another child in his class and Jane is conflicted whether or not she believes her son. I also bow down to Moriarty’s ability to keep her reader’s guessing the plot until the very last page. Although’The Teacher’s Secret’ was emensly enjoyable to read, ‘Big Little Lies’ was more rewarding to finish. I read her story ‘The Husband’s Secret’ immediately afterwards and I really regretted it. Moriarty’s writing is like a fine wine and desert; I find I should take my time and enjoy it. I have given myself a few weeks break and have picked her story ‘What Alice Forgot.’ A woman waking up dazed and extremely forgetful after a body step class… I read 100 pages in the first sitting! 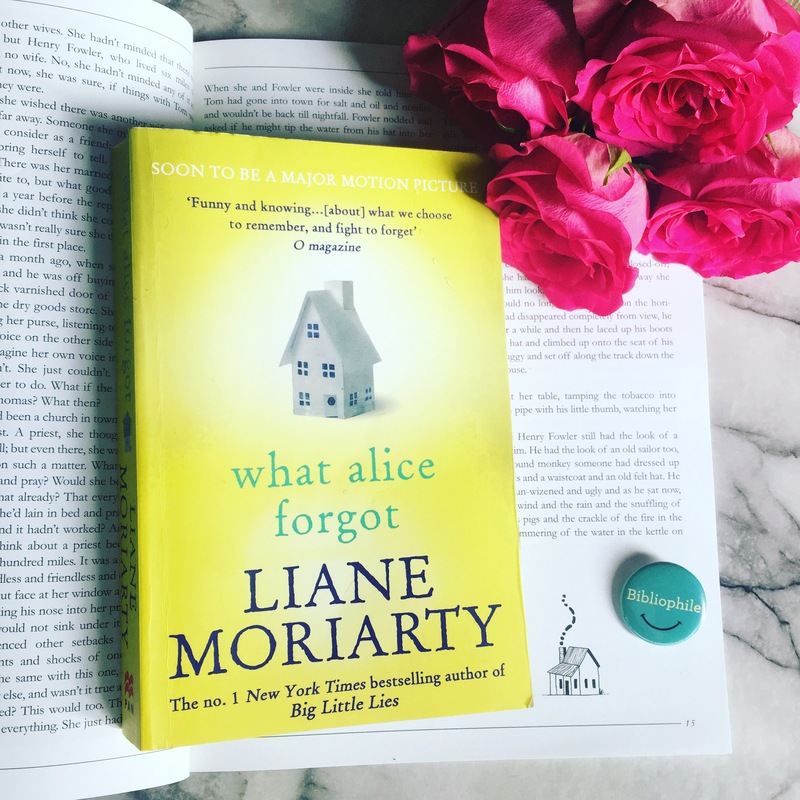 On another note I am very excited to have booked tickets to see Liane Moriarty at the upcoming Writer’s Festival where she will talk about her new release ‘Truly, Madly, Guilty.’ (This book is on my to be read list and reviewed asap 🍵) I’m looking forward to hearing all the wonderful things she has to say!